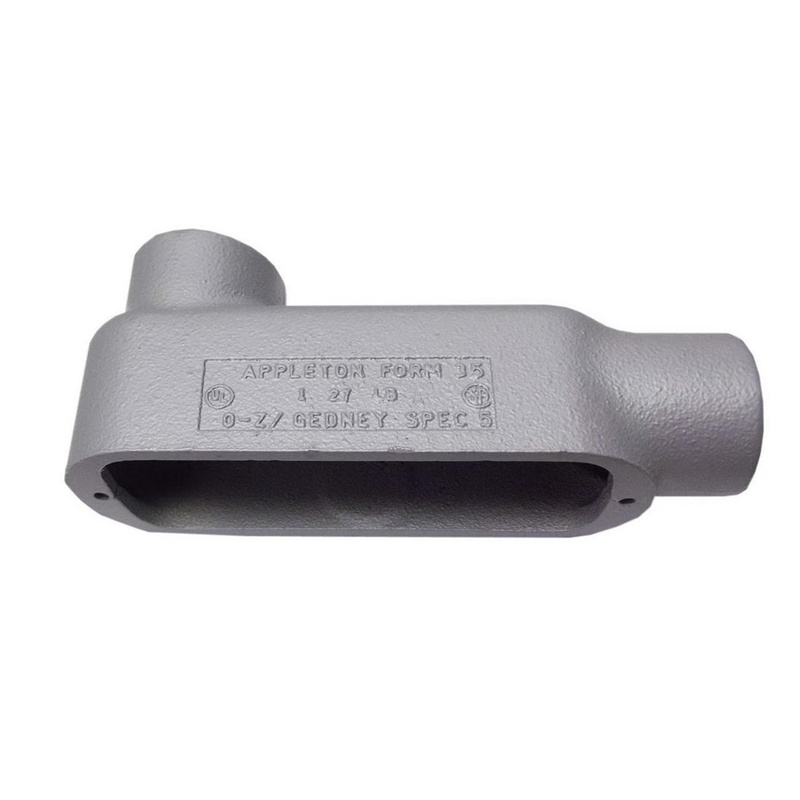 Appleton Type LB Form 35 rigid conduit outlet body features malleable iron construction with triple coating. This conduit outlet body with threaded connection, has trade size of 4-inches. It measures 16.5-Inch x 7.19-Inch. Tapered threads of this conduit outlet body offer tight rigid joints and excellent ground continuity. This conduit outlet body serve as pulling fittings and useful to make bends in conduit system. It offers openings for making splices. It lets you change direction of conduit runs. Conduit outlet body allows connections for branch runs and permit access to conductors for maintenance. The smooth, rounded integral bushings of this conduit outlet body safeguard conductor insulation. It comes with screw-on cover. Conduit outlet body is UL listed and CSA certified.